Brian Clemens | Magazines and Monsters! 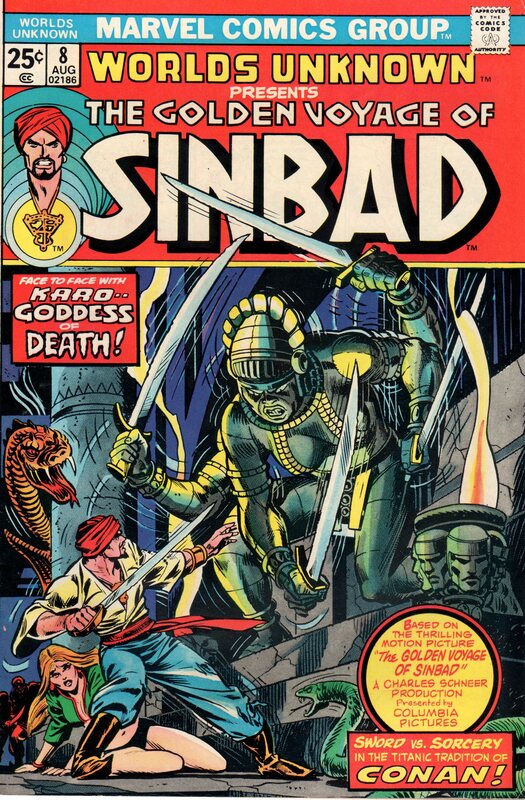 Being a huge fan of Ray Harryhausen, I’m always delighted to see a comic book that was influenced by work of his. Well, there were at least books I know of that were straight up adaptations of his stop-motion work. One is Marvel Spotlight 25, and the other two are Worlds Unknown 7 & 8! 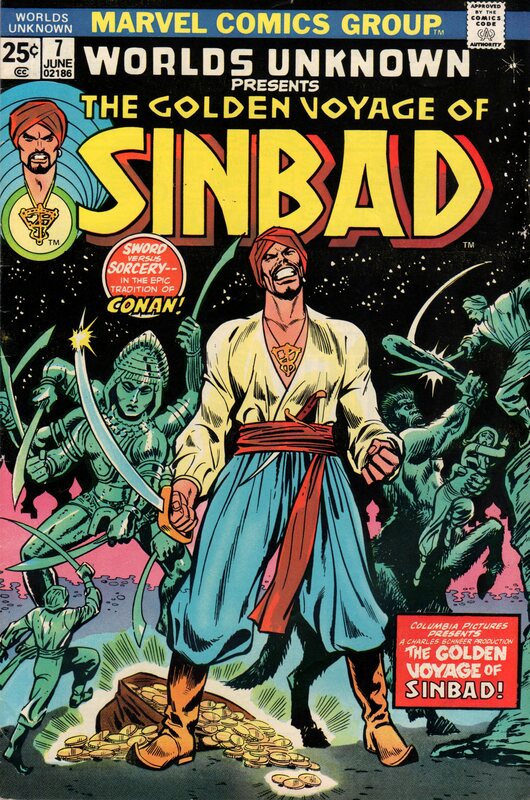 Both of these comics showcase a film “The Golden Voyage of Sinbad,” condensed, of course. 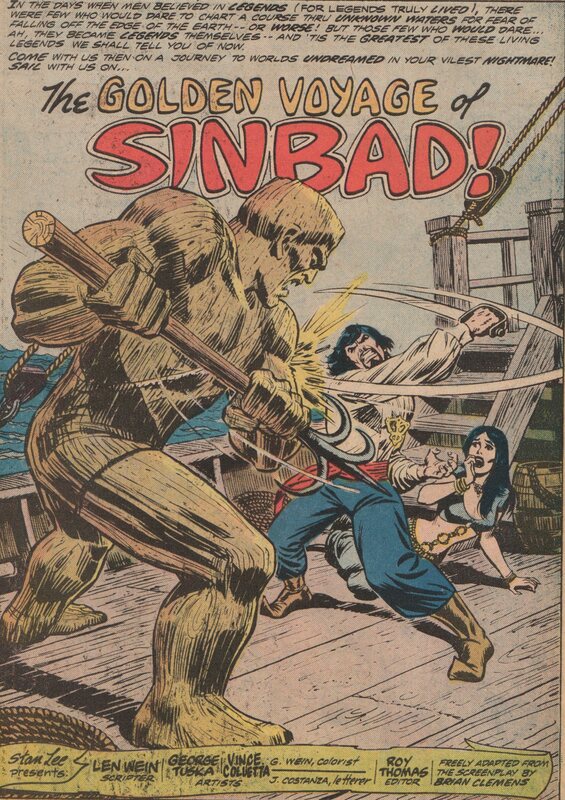 We see Sinbad and his crew battle mythical monsters, evil sorcerers, and the like! 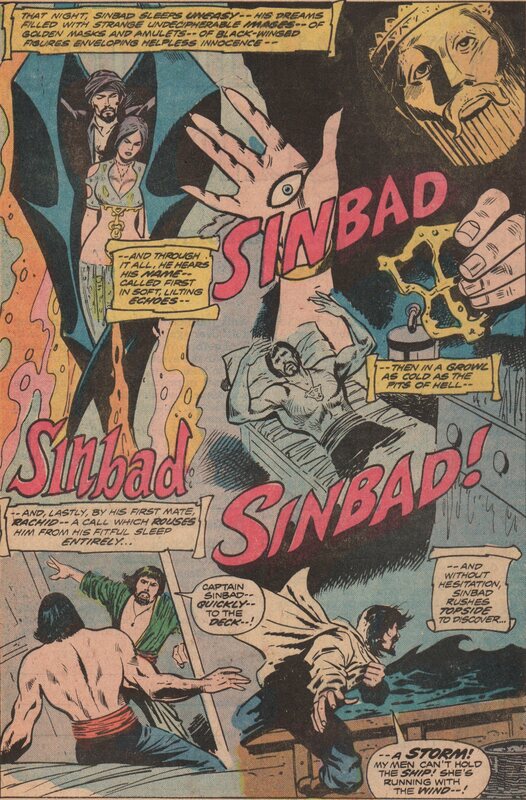 Len Wein (writer) is a guy who’s probably most known for being a part of resurrecting the X-Men franchise, and rightly so, but if you look at the entire body of work, he deserves much more credit. It doesn’t take a writing wizard to adapt a movie into a comic book, Ill give you that, but seeing his name in the credits of any book puts my mind at ease. 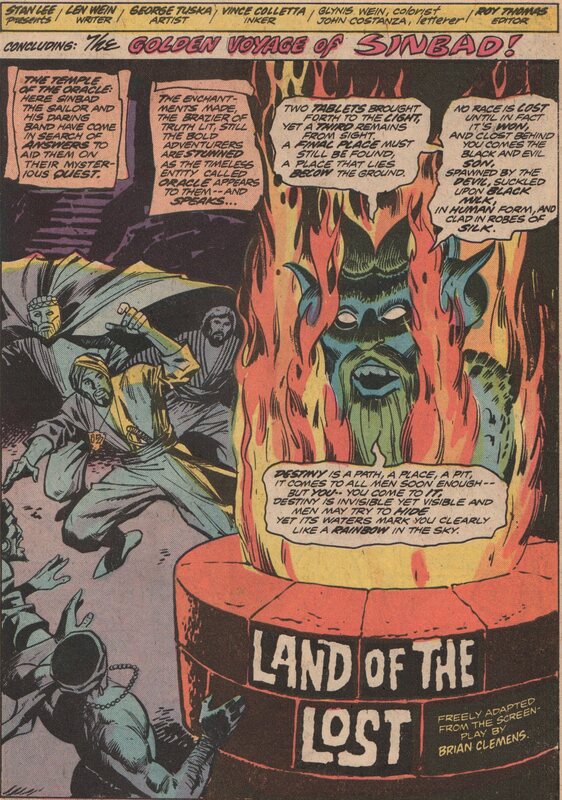 The art team of George Tuska (interior pencils and cover pencils to issue 7) and Vince Colletta (inks- interiors and covers) is one that some might malign. I understand when people complain about Colletta rushing jobs and putting out substandard work. He has done some good work though, and I think issues like these two prove it. 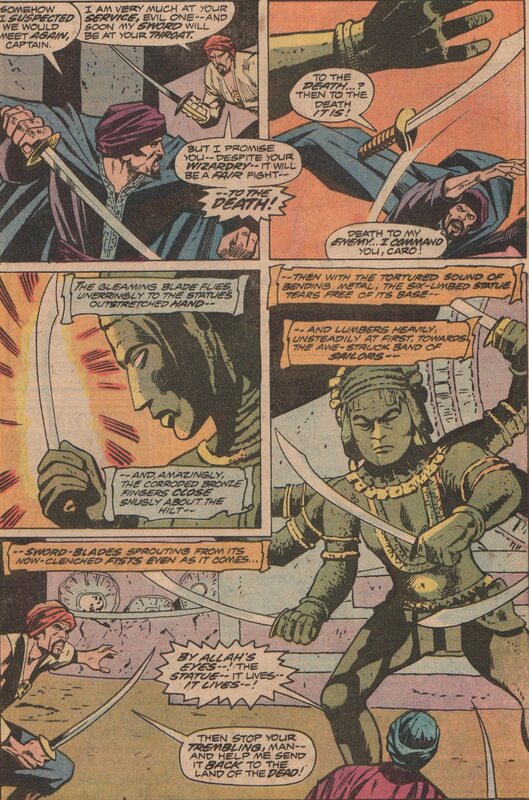 Glynis Wein (colors) and John Costanza (letters) both were always very solid and deserve kudos. 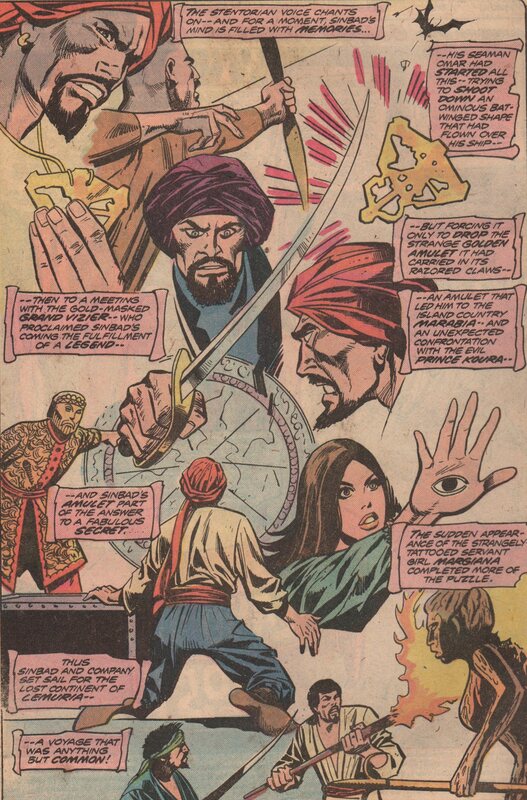 On issue number eight, we get a cover by one of the masters of the comic book industry, Gil Kane!